Miami-born mother, performance artist and businesswoman ‘Kinetic‘ embodies her name completely: this woman is always in motion. When she’s not running Kinetic Beauty Salon, performing around town, or laying tracks in the recording studio, she’s giving young artists a platform to share their works, and it’s nothing short of amazing. 17 Gallery & Studio is a “Garden Spices” experience of the rich diversity of Southwest Miami’s vibrant cultural arts scene. Open to the public on Monday, Wednesdays and Fridays from 9pm to midnight, 17 features live music, food catering, Youth Music Jam Sessions, Youth Impact Art Classes, and The Soapbox, for the spoken word and literary minds; and, the Friday night art scene at 17 has some of the coolest vibes in Southwest Miami. The gallery currently exhibits work by self-taught, emerging, mid-career, and established artists. Currently on exhibit are original works and prints of Christopher Barhardt, 5th Element GQSavior, Caz3D, and Khalonji Young, curated by Kinetic, whose work is also featured. Kinetic also offers the space to serve other community events, with the goal of this platform for creativity and a love of the diversity of cultures. 17 is all about inspiring, motivating and supporting young artists of all expressions. Born as Keisha Culmer in Miami and performing as Kinetic, she was raised in Carol City and Richmond Heights and learned music at church where her mother was the Minister. Kinetic expanded her musical horizons by performing at local talent shows and public speaking. She attended Grambling State University and studied Psychology and then returned to Miami to begin her musical career. Upon her return to Miami, Kinetic became the voice of SOUL on 7th Ave which was a monthly music festival featuring renowned national recording artists such as Freddie Jackson, Roberta Flack and many more. After her residency at SOUL on 7th Ave, Kinetic toured as the lead singer of Time Piece featuring three time Grammy Award winning guitarist and engineer, Julio Ferrer. After her tour with Time Piece, Kinetic began developing her musical act at corporate events, learning how to own the stage and emcee her audiences. As Kinetic immersed herself in the Miami music scene, her brand further developed as a solo artist with a live band, performing at venues throughout South Florida. As if these weren’t enough, Kinetic authored the books Stop Looking Around, Trials and Tribulations, and The Love Test. She became a regular feature at the famous Jazid Miami, performing alongside Nicole McCloud with Cesar’s Jade. After her Jazid gig, Kinetic decided it was time for a break; she decided to have a family and become a full time mom, where she developed her passion for mentor-ship, home schooling and community advocacy. 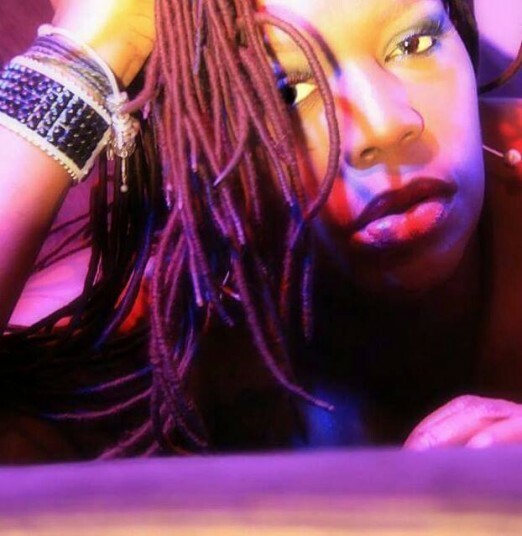 At length, Kinetic returned to Miami’s music scene where she became an instant feature with The Novell NU Soul Series at the famous Van Dyke Café on South Beach. As a result of her stage presence and energy behind the microphone, she was instantly offered her own night and became a regular at The Van Dyke – folks could hear that soulful voice spilling out onto the elegant and vibrant Lincoln Road, wooing locals, tourists, and celebrities alike. Kinetic was discovered and signed to Above Ground Music in Miami, where she has been developing her new album and developing herself for the next phase of her career. 2012 was the next venture of 17 Community Gallery and Studio where she cultivates art in all forms. 2014 the next phase was Kinetic Beauty Full Service Salon and Spa. 2015 Organizer and Key Note Speaker for #17ITP Increase The Peace hosted by 17 Gallery. This edition of Garden Spices Magazine is all about wisdom, and the gifts that Kinetic not only taps into, but inspires others to embody, is wisdom at its most eloquent expression. If you’re down here in Miami enjoying our sunshine and lifestyle, stop in and say hello to Kinetic. The moment you see her, you’ll feel like you’re at home.